Hear Film Director, Producer, Scientist… David Sereda talk about the film “Water,” and about the implications of what water really is, and what it can do. David will change the way you look at water, forever. Learn more about David at www.VoiceEntertainment.net. 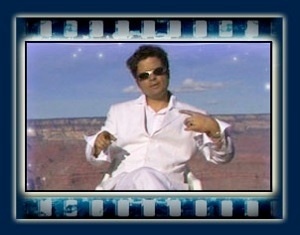 He has appeared on hundreds of radio shows such as Art Bell, George Noory, Ian Punnett on Coast to Coast AM; “If it Rocks” with Allan Handelman; Whitley Strieber’s “Dreamland,” and worldwide on many TV shows such as CNN, Anderson Cooper; Fox News, Fox & Friends; ABC Peter Jennings; History Channel, TLC, & the Sci-Fi channel. David has studied Christian mysticism, Buddhism, Hinduism, Yoga, Judaeism, Islam, Sufism, Pythagoras, for over 30 years. His practice and direct experience in meditation started with Hinduism, yoga, (Ashtanga including the 8-limb teachings – Asana, Pranayama, Kriya, etc. ), Buddhism, Vippassana (Insight Meditation Levels I, II, & III), Rebirthing (breath therapy), OSHO’s (Dynamic, Chakra Breathing, Mandalla, Nadabhramma, Kundalini), Chanting MANTRAs, Christian Meditation and Prayer.